Attorney Jacob H. Kiessling focuses his legal practice in the areas of business planning, real estate, and estate planning. 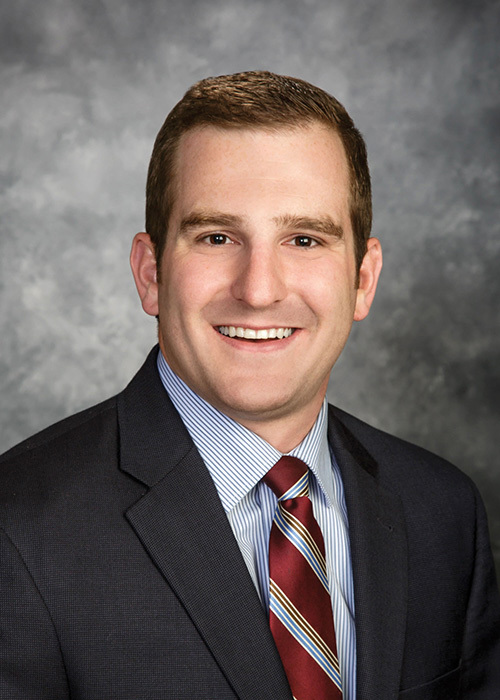 He is also a part of the firm’s Agricultural Law group, representing farm and agricultural business clients throughout Pennsylvania in a wide array of legal matters, including succession and farm transfer planning. Jacob joined Mette, Evans & Woodside after graduating from the University of Baltimore School of Law. While in law school, Jacob clerked for a solo practitioner in Baltimore, Maryland, and served as a judicial intern for the Honorable William T. Tully of the Court of Common Pleas for Dauphin County. Jacob graduated from Lycoming College with a degree in Anatomy & Physiology and a minor in Political Science. While at Lycoming he was a member of the wrestling team, Kappa Delta Rho Fraternity, and Order of Omega Leadership Honor Society. A native of Dauphin County, Jacob was reared on a family farm in the Hummelstown area. He currently resides in Cumberland County with his wife and son. Jacob is an avid fly fisherman, and is an active member of Zion Evangelical Lutheran Church in Hummelstown. In the closing days of 2017, the federal Tax Cuts and Jobs Act ("Act") was enacted. Its impact will be felt by virtually every taxpayer on multiple levels. From a farm succession planning standpoint, the most impactful changes include reduction of individual and corporate tax rates, increases in the federal estate and gift tax exclusion amount, preservation of stepped-up basis and continuation of like-kind exchanges for real estate. In the typical farm family, the parents' estate plan is as follows: Farm assets to my farm son, Andrew, and non-farm assets in two (2) equal shares to each of my non-farming children, Susan and Charlie. While the intentions are clear, and while the wills that are prepared are clear, it is not guaranteed that such intent will be carried out. What is not clear is that, in such a situation, the will is often times not enough – it does not dictate where every asset will go in the event of someone's passing. Hurst, Randall G. Leicht, Paula J.